WQXR endeavors to bring the joys of classical music to as many people as possible through radio broadcasts, digital services, immersive music festivals, live events and deep exploration of the music and the masters behind it. From the one of the most vibrant cultural capitals in the world, WQXR is uniting a community of passionate classical music fans, introducing new generations to the genre and celebrating the music in life. WQXR’s Carnegie Hall Live brought listeners 12 performances live from Carnegie Hall’s 2015-16 season, featuring some of the world’s most celebrated orchestras and performers. The season launched with Carnegie Hall’s Opening Night featuring pianist Evgeny Kissin, and also included the New York Philharmonic, Boston Symphony Orchestra, Berliner Philharmoniker, and pianist Yuja Wang, as well as new commissions from leading and emerging composers as part of Carnegie Hall’s 125 Commissions Project in honor of the institution’s 125th anniversary. Performances aired and streamed live on WQXR 105.9FM and WQXR.org, and were made available for on-demand listening. The recordings were post-produced by WQXR and distributed to more than 200 stations across the country. WQXR presented 23 live events in The Greene Space featuring performances by and conversations with a variety of established and emerging artists. Superstar pianist Daniil Trifonov performed to a sold-out audience in The Greene Space, and The Metropolitan Opera previewed its new production of Bizet’s The Pearl Fishers with its stars Diana Damrau and Matthew Polenzani. Other highlights included Grammy Award-winning violinist Augustin Hadelich; duo pianists Christina and Michelle Naughton performing a world premiere from John Adams; and 2015 Richard Tucker Music Foundation Winner, mezzo-soprano Jamie Barton. Q2 Music presented a special evening with opera, theater, and festival director Peter Sellars and musicians from the Ojai Music Festival. WQXR also catered to the youngest classical music fans with a performance featuring students from the New York City Department of Education Summer Arts Institute and a New York Philharmonic Very Young People’s Concert. On June 4, 2016, WQXR held an all-day Frédéric Chopin marathon in The Greene Space hosted by WQXR’s Elliott Forrest and Terrance McKnight. The marathon let fans immerse themselves in Chopin’s music, offering more than ten hours of Chopin’s solo piano pieces performed by today’s brightest piano virtuosos and the day’s performances were made available to all through WQXR’s site and mobile app. WQXR’s New Daily Playlist: In October 2016, WQXR newsletter subscribers began receiving a morning rundown of the day’s playlist, helping them plan their listening. Sign up here. The Thompson Family Foundation provided WQXR with a significant planning grant in Fiscal Year 2016 to help WQXR look at the opportunities for building both its local brand, as well as opportunities to create a national classical music brand to serve audiences craving for more classical music across the country. With a goal of highlighting the best undiscovered classical musicians from all around New York City, WQXR launched the Classical Moonlighters Competition and invited amateur musicians to compete in a live performance setting. From 800 audition videos, ten semifinalists were selected for each of the three age categories, and 11,000 online votes selected the three finalists in each age category. The finalists performed in The Greene Space in May and winners in each age category were selected: the Memmiani Piano Trio (age 13-18), soprano Sarah Lucero (age 19-34), and the Violas of Camarata Notturna (35+). Winners got professional, private coaching and the chance to perform at Lincoln Center’s Rubenstein Atrium. 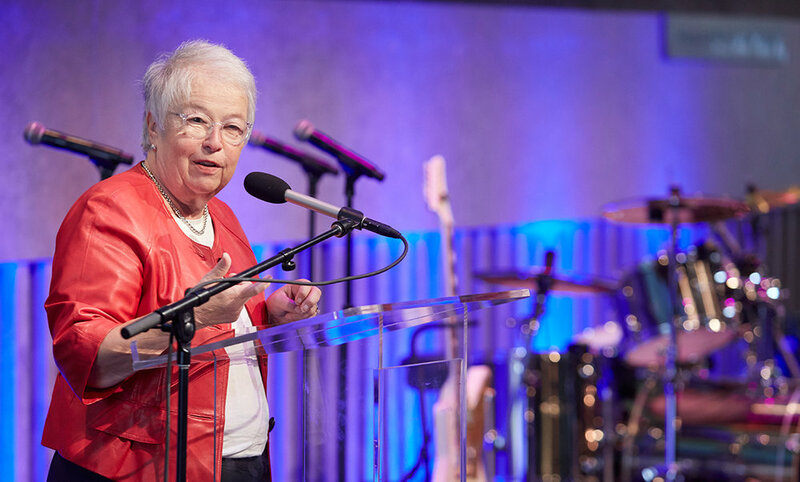 In April 2016, at an event in Lincoln Center with New York City Schools Chancellor Carmen Fariña, WQXR kicked off the second Instrument Drive. The effort called upon listeners and members of the community to donate their gently used instruments to be refurbished and then placed in New York City, Newark and community music programs. During the ten-day drive, instruments were collected at drop off locations in all five boroughs, in Newark, New Jersey, and delivered by Uber. More than 2,000 instruments were collected. Key partners included New York City Department of Education, Newark Public Schools, Materials for the Arts, Sam Ash Music Stores and Uber. This year a documentary film inspired by WXQR’s 2014 Instrument Drive called Joe’s Violin was also featured at the Tribeca Film Festival.